Complete your Jak and Daxter collection on PS4 with the release of Jak II, Jak 3 and Jak X Combat Racing next week. It’s been a few months since Jak and Daxter: The Precursor Legacy has been available on the PS4 via download from PlayStation Store. We’ve had a great time re-living our fond memories of the game, which is why we are excited to announce that Jak II, Jak 3, and Jak X Combat Racing will be available for download on the PlayStation Store on December 6! The games will be offered individually for $14.99 each, or can be purchased as a bundle for $39.99. On October 14, 2003, Naughty Dog released Jak II for the PlayStation 2 system, and something amazing happened for the Jak and Daxter franchise: Jak was able to speak for the first time, enabling players to hear and experience Jak’s own point of view using his voice, instead of relying solely on Daxter’s witty banter and exposition. This was the start of something special, and the franchise continued to reach new heights with the release of Jak 3 and Jak X, in part because of this one simple addition. 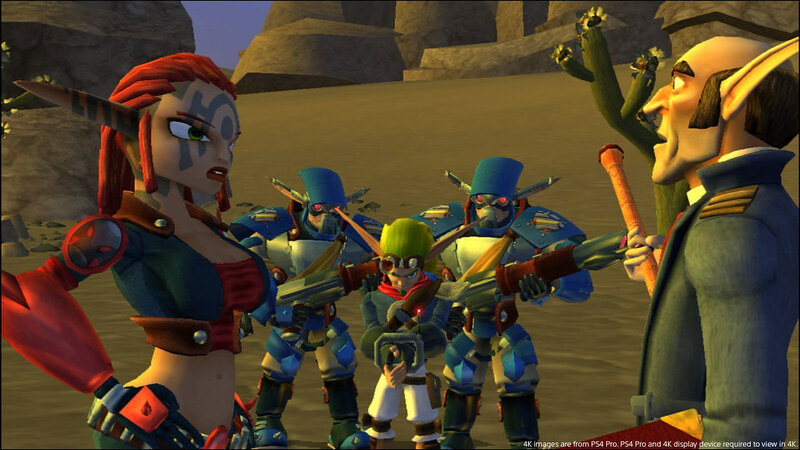 By giving Jak a voice, it allowed Naughty Dog to explore new narrative techniques that allowed them to create a grittier world with a much more developed and evolved storyline. Jak and Daxter evolved from whimsical lighthearted platforming characters to a much darker vision of a future’s past world where Jak and Daxter find themselves pitted against multiple dark forces moving against them. 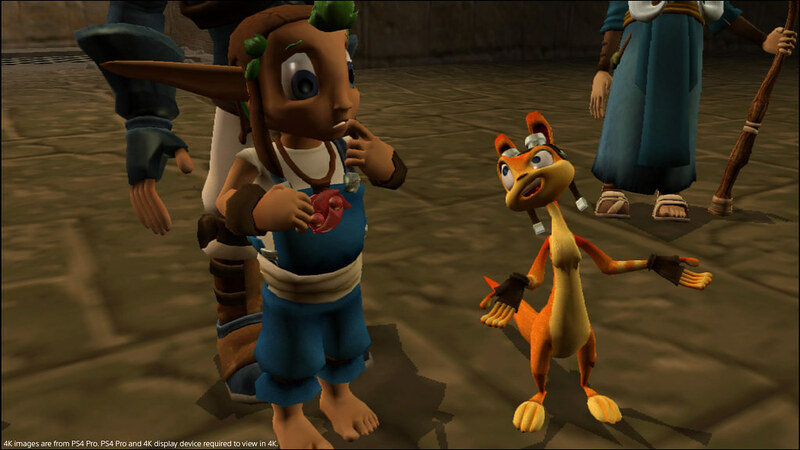 The narrative tropes Naughty Dog explored in Jak and Daxter laid the foundation for the evolution of their highly innovative story telling. It put them on the path that led to the creation of future blockbuster franchises like Uncharted and The Last of Us— and to think it all started with giving Jak his own voice. In celebration of Naughty Dog’s rich heritage, it is with great pleasure that we present to you these Jak & Daxter classics on the PS4. Wait, there’s more! To help make experiencing these games even more nostalgic, please check out the Legacy Dashboard Theme ($2.99) created by our friends over at Truant Pixel. You can find this at PlayStation Store, also on December 6. 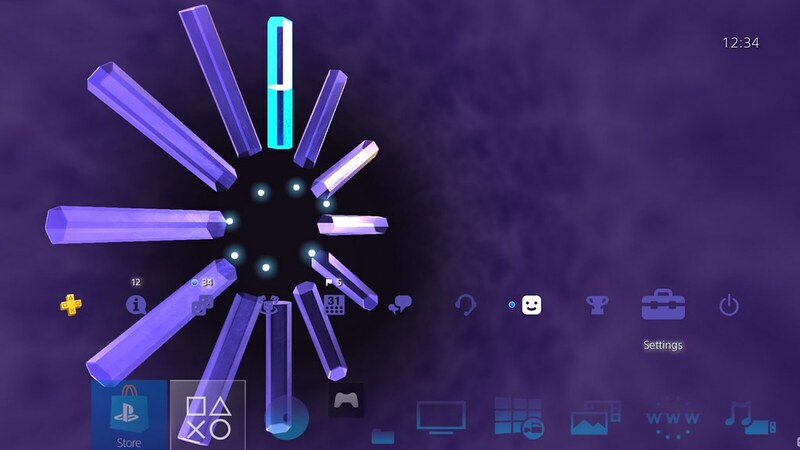 Whenever we see this theme on our PS4 console, we can’t help but think about our fond gaming memories. We hope you feel the same way too. That PS2 theme, damn. Any video preview available for it? I am still waiting for Spyro and the original need for speed for PS2 which was amazing! So it’s December 6th, why is the game not available? Anyone? At first I was mad because I felt like they should have just ported the PS3 versions to the PS4, but then I looked at a graphical comparison and I realized that they weren’t exactly HD remastered enough to matter, they were more of just tweaked ports. So maybe I’ll pick them up especially if they come on sale. The games are offered individually ($14.99 each) or can be purchased as a bundle ($39.99). How much will the bundle be? Also, I assume you’ll just get an error if you try to play Jak X online? Excited for Jak X, it was the only PS2 game that didn’t work properly on a backwards compatible PS3, so I never finished it. Saving was bugged. Looking into creating a bundle for those that received Jak and Daxter TPL as a pre-order incentive. Sit tight on that one. For Jak X Online, it will just say No Network adapter found. The online component has been deactivated. Price for the bundle? Does it include Jak 1 or just the other three games? Does Jak X have online multiplayer? I am always positive on these blog posts, but can’t help but feel this one is missing too many important details! That was our bad, apologies. The bundle includes all four games. See my previous post regarding the other info. Working on a bundle that would not include TPL, more info to come. Being a PS2 classic and not a remaster, I promise online play won’t work. Question is how will the game react to attempting to play online. Lack of infos 101. Pics says 4K on PS4 Pro… Are you upgrading the PS2 emulator? Is it emulated like the PS2 Classic Jak&Daxter released earlier? Will it supersample on a 1080p screen? Is the framerate now a fixed 60fps? How much for the bundle? it upscales to 1080P from the original game resolution. We pushed the frame rate improvements where possible as far as we could. Will it be a midnight release? Bring more PS2 games !!! Its really amazing! Also bring god of war 1 and 2! Video preview of the theme. Does the “Images Captured on a PS4 Pro System” at the end of the video confirm that the PS4’s PS2 emulator is finally getting Pro support? It’s always had Pro Support. PS2 Classic games run better on the PS Pro! Untrue in the sense I mean. For example, Jak 1 renders at 1024×448 on PS4, regardless of whether you’re playing on PS4 (OG) or PS4 Pro, and all of the other available PS2 titles for emulation. Why isn’t PS4 Pro’s GPU power being used to push these games to higher resolutions? Because the Heutchy Method is proprietary Microsoft tech. In order to push higher resolution textures, the game code would have to be altered to put higher resolution textures in. That’s not emulation anymore, that’s a port. I made no mention of textures, I’m talking about rendering resolution. MS’s Heutchy Method also relates to rendering resolution and not texture resolution. But that’s besides the point, the Heutchy Method has nothing to do with this. 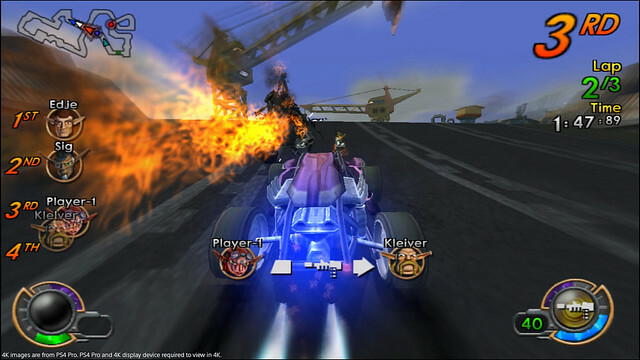 The PS4’s PS2 emulator increases the game’s rendering resolution so that it looks more presentable on a modern display. On original PS2 hardware, Jak 1 rendered at 512×224. On PS4, the rendering resolution is doubled on each axis to 1024×448. On PS4 Pro, this is exactly the same. Why isn’t PS4 Pro taking that resolution higher? A bare minimum of 2048×896 (quadruple on each axis) would be a significant bump over what the base PS4 is doing. Well at least we know it’s coming out now everyone can stop complain about when are these coming out. In on that Truant Pixel Legacy (PS2) Theme the moment it hits! Will definitely be checking out this collection as well, since I missed out on it in the PS2 era. ……………………. You know how.. LONG I’VE BEEN WAITING FOR THIS??!! Holy Precursor, it is ABOUT TIME! Ever since the announcement of this tetralogy back in April and it going gold back July and especially The Precursor Legacy (TPL) releasing in August, I’ve been wondering in the metal-head when we’d get the rest of the games. 1. Will Jak X have a Platinum Trophy? 2. 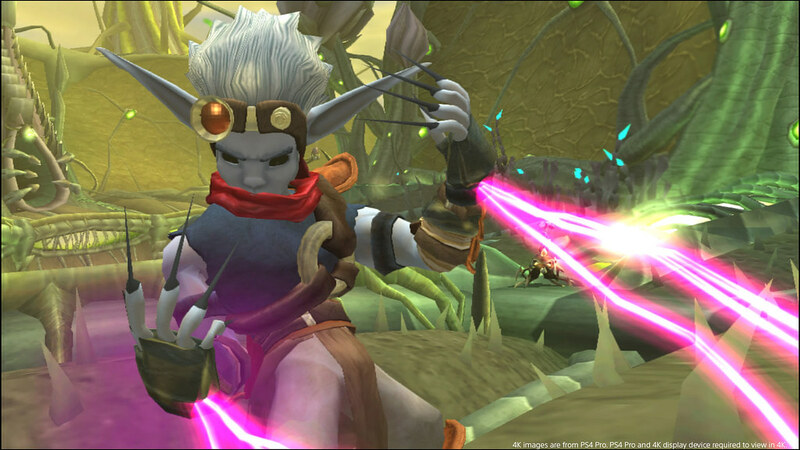 Will Jak X have online (….. things can change over time)? 3. Will the rest of the games run at 60FPS? 4. Like JaD:TPL, would I be right to assume Jak II does not have the invert camera option? 5. What’s the earliest we’ll be able to download the games? 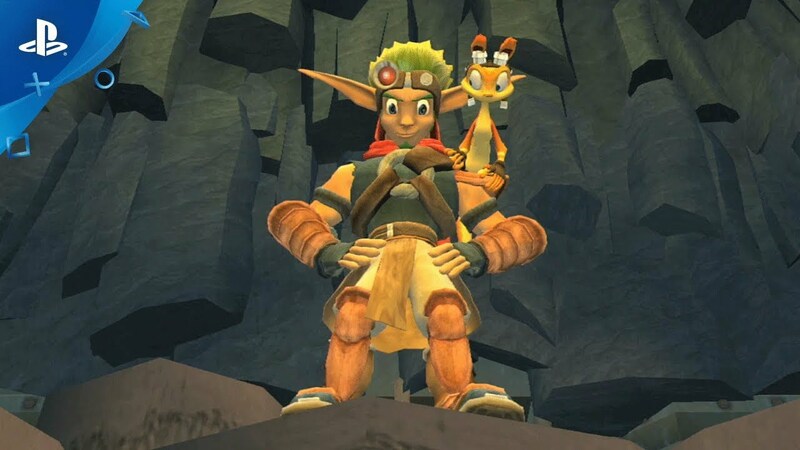 Man a (PS4) Jak theme would have been a nice addition, as well as avatars (Keira, Samos, Ashelin, Torn, Sig, Tess, Pecker, Damas, Light Jak., Razor, GT Blitz, etc. You know, the logical choices, especially Keira and Ashelin). Just like with Uncharted and TLOU avatar series. 4. 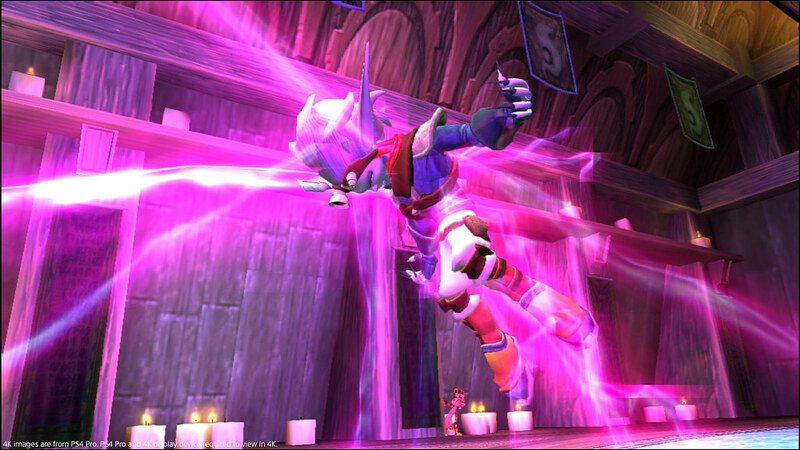 Like JaD:TPL, would I be right to assume Jak II does not have the invert camera option? – We didn’t modify the original camera controls. 5. What’s the earliest we’ll be able to download the games? – December 6th! Man a (PS4) Jak theme would have been a nice addition, as well as avatars (Keira, Samos, Ashelin, Torn, Sig, Tess, Pecker, Damas, Light Jak., Razor, GT Blitz, etc. You know, the logical choices, especially Keira and Ashelin). Just like with Uncharted and TLOU avatar series. – Maybe we can make some magic happen. Great suggestion! That “magic” would be beyond just appreciated! Lastly, I have to say the pricing (bundle) is more than reasonable. I expected $55, $50 at best. Whether or not JaD’s situ affected this, this price is going to make the sales much better now. Generally here, you save $20, meaning you get 1/4 games for free + save $5. Wish we had a handheld we could play Jak X on. Hint hint. And no not via remote play. Just curious, how do these versions compare to the PS3 HD versions? Better? Worse? Or about the same? PS3 versions are better, although the PS4 versions doesn’t have the bugs that the PS3 version had. The main difference is that the PS3 versions has some updated textures and lighting, while the PS4 version has only an upped resolution. It doesn’t look bad though. If all you care about is graphics yeah the ps3 is better by like a milometer. gameplay wise the ps4 is the definitive way to play: looks great, and plays without the ps3 glitches. enjoy!!! now let’s get Ratchet and sly, & maybe god of war 1 & 2. Excellent! I had a fear that these would get pushed into next year, super excited! Does anyone know how much the bundle’ll be? The first one alone costs 15 dollars. I’d expect the bundle to be 40$. I love y’all sony but please don’t let this theme be trash y’all have us pay 2.99 for silence or some crappy music. I figured with some of the rights of games you have access to you would make a better effort in some of these themes. So far Rez Infinite and Persona 5 have only seemed to get it right with good music and good themes! Anyway I’m buying this more trophies for me. Can you guys do this with God of War please. Pretty, Pretty Please. About time. Now please release more PS2 Classics. So many missing. Cool, now get a Demon Souls/ DS1 bundle! So i have Jak 1 already is the bundle all of them or just Jak 2, 3, and X? Sorry, it’s a bundle of all of them, stay tuned for more info on a future bundle excluding Jak and Dax TPL. Please bring compatible to PS1 games in PS4 bought in PSN and retrocompatible to disc format, And PS4 would have much more success! Nice. Keep the ps2 classics coming to ps4, also ps1 classics please. That theme is amazing! and it has the original sound effects to boot! this is just digital version? Been wishing you guys would remake Jax X as a PSN online game. It would still be a great idea for PS4. I’ll take this port for the time being. I played my PS2 copy not long ago on my original PS3. Still holds up very well. Ps4 pro support, or at least 4k hdr… Or else not worth it. I didn’t see a PS4 Pro support for the first game. Will it be updated with PS4 Pro support? What kind of support on PS4 Pro? Btw, No Daxter game and Lost Frontier in the bundle? A shame ! I really wish you reconsider adding them on PS4 to complete the story of the saga for everyone on PS4. Thanks. When will a bundle without TPL come? Will it be still this year near the release of the complete bundle? I was super excited to read about this bundle as Jak X Combat Racing was my favorite game title online once the Slim PS2 first became available. I played it nightly with a friend of mine back in the day before he moved, and I really enjoyed that game more than anything that the PS2 had to offer online, even more than Socom 2, 3 and Combined Assault. However, without the online support, Jak X Combat Racing is mediocre at best, and not worth $15. If I want to play those games offline I can just play them on my CECH-A01 PS3 and have the same experience. Thanks anyway. At least that PS2 Theme is awesome! No Daxter game and Lost Frontier in the bundle? A shame ! Agreed. Please bring Daxter and Lost Frontier to the PS4! PS2 versus PSP is sadly a different development pipeline, but I hear you. I love Daxter PSP too! I know that Daxter was PSP only and never ported to PS2 (and I wished it was ported to PS2 or at least PSP games being ported to PS4) but at least Lost Frontier. Did you consider porting it at least as PS2 Classics? It was ported to PS2. You cannot be serious. They are literally just PS2 .Isos in PS4 emulator and that’s it. And you’re charging that much? Sony you’re being way too greedy…. I agree completely. All 3 games of the original trilogy are only $9.99 as a PS3 bundle, with improved graphics and stereoscopic 3D. Charging this much to downgrade to the PS2 version is just criminal. Almost every PS2 classic on PS4 launched at 14.99. I don’t get why it’s an issue now a year after the PS2 collection started. These are literally games that people were paid to make functional on PS4. Their production costs need to be recouped and a profit gained. That’s not being greedy, it’s business. If you want free ISOs then you shouldn’t be playing on a console. Agree with Tj. You can’t constantly compare prices in this case to an older gen remaster. Yes the HD Trilogy cost less NOW, but did it cost less when it came out? NO. Let’s (fairly) compare release prices to release prices — PS3C was $40 at launch. PS4C is $40, and it brings a 4th game, whereas PS3 version only brought 3. Any plans to bring the old team back? I know the rivals of Ratchet and Clank lost a lot of there magic with the last few games so Ive been holding on to the hope that J&D would come back as the PS4 has really been lacking in the way of platformers. Although the Crash Remaster was a nice surprise. Finally I have waited for so long I have been checking the blog often since the announcement for at least some news! I know it says that the multiplayer wont be working for this, but please re-consider it. It’s the only way that the Jak community can get together and most of us (including me) missed the Ps2 online because of its servers shutting down about 1yr later from release. It would mean a lot to us and splitscreen is no match to vs 5 other friends in different modes. Every Jak fan wants this and people are disappointed that the multiplayer wont be available. It’s not like we don’t pay to play online. Even if it will take time, we would be patient. The multiplayer in Jak X is the first ND online game and apart from the story, without its online its losing its “magic”. Thank you Sony! But please reconsider adding online to Jak X.
I hope someone can take some of profits and make a new trilogy. All of us aren’t into TLoU 2. Its ok to make an action adventure game with Pixar style animation. Look at Ratchet and Clank. There could even be a contest for fans to write a story for new trilogy! Stereoscopic 3D support coming to ps4 like was on ps3 collection? These are emulations of the PS2 versions, so it’s unlikely they’ll add stereoscopic 3D. Sadly, game developers and hardware manufacturers have all but abandoned 3D support in favor of 4k and VR. I couldn’t care less about 4k, and VR headsets are still not evolved enough to eliminate latency and the screen door effect. The best option for 3D is to get a decent gaming PC and install TriDef 3D software. TriDef converts nearly any DX9, 10, or 11 PC game to render in stereoscopic 3D. It can take a bit of tweaking the settings to get it to look right, but once you do it looks amazing. These versions are bespoke from the PS3 Jak and Daxter HD Collection, we used the original PS2 versions for this release. As such 3D is not supported. I’ll probably pick up Jak X, but I already have the first 3 remastered for the PS3 and playable in stereoscopic 3D. No reason for me to downgrade. You know it’s really not entirely a downgrade. For one, THESE versions support 1080p, whereas the PS3C only went up to 720p. Sure the PS3C has better native resolution, but PS4C still has up to 1080p max resolution. With actual research done, people would actually pick up on facts like the PS4(P) versions has the most vibrant colors of all the versions, better texture in areas (yes in some areas the texture is actually better on PS4, especially on character models), and no filter that the PS3 version uses. Also, the PS4 version clearly keeps certain faithful features precursor metal detail, sun/moon/day star, etc.. There’s also other technical aspects the PS4V outshines the remaster in. The PS3C may potentially be better than the PS4C, but im just here to say the PS3C isn’t entirely better than the PS4C, nor just because you have the PS3C does that mean the PS4C is pointless, especially with the glitches the PS3C is filled with, graphical, audio, and gameplay wise. Hi is this the PAL version with the different language settings? (Jak 2 for example also had Japanese, Korean, etc). We released the NTSC version of Jak X in Europe since it supports multiple languages. Didn’t the original games run mostly on 60FPS on the PS2? How come it’s a problem to get them constantly running on 60FPS 12 years later on a PS4/PS4 Pro? I’m pretty sure that the original Jak games on the PS2 ran at 30fps. Increasing the frame rate is not a trivial endeavor. How did you guys handle the Jak X cutscenes? They were pre-rendered at a pretty low resolution originally (I think 480p or somewhere around there), not to mention quite a bit of compression. Did you guys re-render them, live render them, or simply use a fantastic upscaler? Because the few cutscene clips from Jak X in that trailer look fantastic. We upscale/uprender the cut scenes, but it’s really a testament to Naughty Dog’s engine and source asset quality for how well they look on the PS4.